Parkinson’s disease is a disorder of the central nervous system. It leads to slow movement, tremor, rigidity, and loss of balance. The cause is not known, but it can be a result of exposure to a drug or chemical, or it may be part of another disease. There is no cure. The symptoms of Parkinson’s disease result from the death of nerve cells (neurons) in the brain that control movement. These cells make an important chemical called dopamine, which transmits nerve impulses that help the brain control movement. Without dopamine, these nerve impulses cannot function normally and the result is problems in movement, balance, and even speech and swallowing. A variety of drugs can treat the symptoms of Parkinson’s disease, but they only slow down the worsening of symptoms and do not reverse the nerve cell death. When symptoms of Parkinson’s disease appear, over 80% of the special dopamine neurons in the brain have already died. Researchers are looking for a test to detect the presence of Parkinson’s disease before symptoms are even seen. The primary symptoms of Parkinson’s disease include tremor, rigidity, slow movement or loss of movement, and problems with walking and maintaining one’s balance. Tremor is the most common symptom. Described in England by Dr. James Parkinson in 1817, Parkinson’s disease is seen in almost all countries. Parkinson’s disease is a condition of older age. Although cases have occurred in teenagers or young adults (e.g., actor Michael J. Fox), most patients first notice the symptoms of the disease after age 60. The cause is not understood. Although Parkinson’s disease can be a result of drugs or toxic chemicals, most cases are “idiopathic,” meaning there is no known cause. There are several theories as to why Parkinson’s disease develops. A higher number of cases in rural areas may link the disease with something in a rural environment, perhaps a chemical. Parkinson’s disease does not run in families unless it is seen in young children. 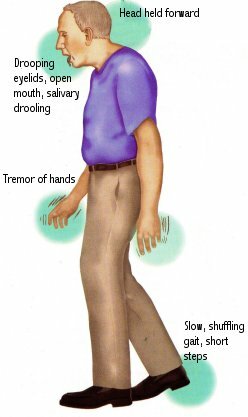 Primary Symptoms: The primary symptoms include tremor, rigidity, slow movement or loss of movement, and problems with balance and walking. Tremor is the most common symptom, and it is worse at rest or under stress. The tremor usually appears on one side of the body in the hand, feet, jaw, lips, or facial muscles. The tremor often disappears when the patient moves the affected part, and when the patient is sleeping. For some patients, rigidity (muscle stiffness) is the first symptom, and movement becomes slow. These patients have trouble balancing when they walk. They often hunch over to maintain their balance, since they have a tendency to fall forward or backward. Muscle rigidity may also result in a mask-like facial expression, with little eye blinking. In addition to these symptoms, patients with Parkinson’s disease can suffer from problems with speech, swallowing, depression, and dementia (confused state). 5 Stages of Disease: Symptoms usually develop slowly and are often not noticed by the patient. The diagnosis can be made when the patient shows at least two of the primary symptoms mentioned above. Once the disease is diagnosed, it can be ranked into five stages. Stage I is the mildest, with symptoms only on one side of the body. In Stage II, symptoms appear on both sides of the body and walking and standing become difficult. Stage III is more serious in slowing body movements. Stage IV shows increasingly severe symptoms of muscle rigidity. Patients in Stage V can no longer walk. Treating Symptoms: Treatment is aimed at slowing down the symptoms so patients can continue with their daily activities and live independently for as long as possible. It is important for patients to regularly exercise and eat well-balanced meals to stay in good physical condition. A high-fiber diet and stool softeners may be helpful for constipation, a common problem in Parkinson’s patients due to inactivity and some drugs used to treat symptoms. Doctors may disagree as to the best way to treat a newly diagnosed patient. Some doctors believe drugs should be used early; others prefer to hold drug treatment until tremor and movement problems interfere with everyday life functions. There are several classes of drugs used to treat the symptoms of Parkinson’s disease. These drugs can be used for many years to control symptoms, and each has advantages and side effects. The mainstay of treatment is levodopa, which replaces the lost dopamine in the brain. Your pharmacist can explain how to take this and other prescription drugs. 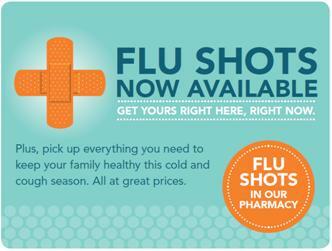 If you have the disease, it is very important to take your drugs exactly as prescribed.